Michael Morcombe. Photo: Jon Hewson. 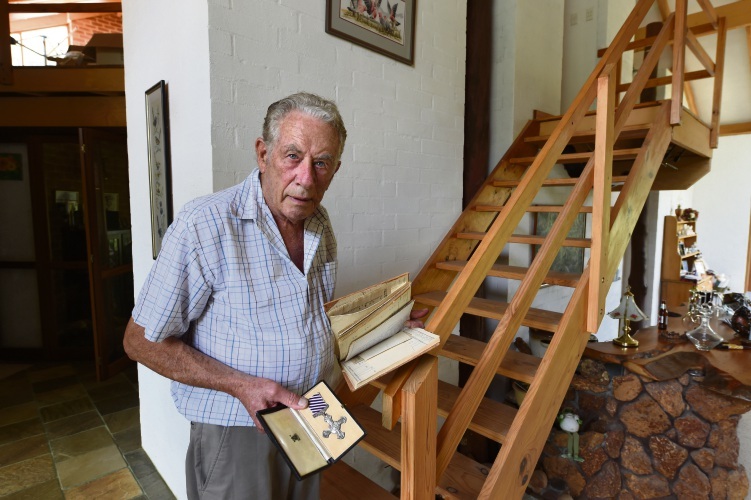 BEDFORDALE’S Michael Morcombe was just a toddler when his father enlisted to fight in World War II. Unfortunately, it would be one of the last times he would ever see him. Frank Keith Morcombe was a farmer in WA’s Wheatbelt when he decided to leave his wife and two young children behind for the unknown dangers of war in 1941. With farmers exempt from service, Keith told air force enlisters he was a farm mechanic, eventually graduating as a pilot officer and finding himself in the thick of action in Darwin. It took just six months for the skilled airman to be promoted to flight lieutenant. “Keith Morcombe was an early Hudson pilot- basically just passenger planes converted to carry some bombs, and armed with a few protective machine guns,” Michael said of his father. 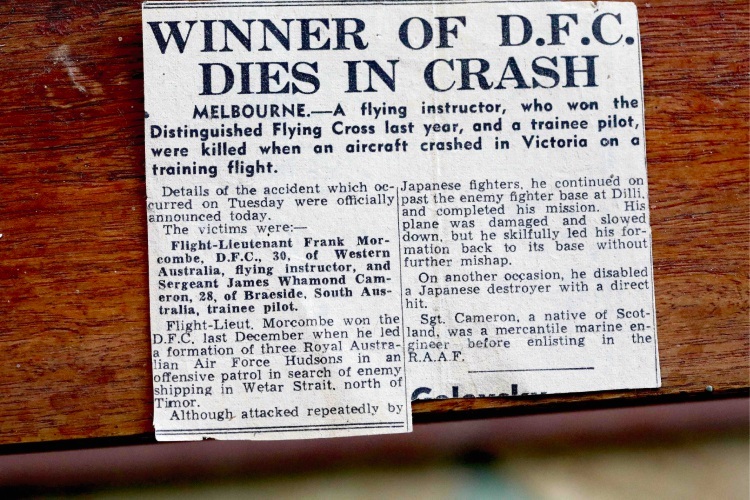 “These pilots played a part in discouraging a possible invasion of northern Australia, sinking some Japanese warships, interrupting supplies, and damaging their airstrips. “On one occasion Keith found a Japanese destroyer and his five bombers dived almost simultaneously from different angles and directions, all dropping their bombs within a few seconds. Keith entered many dangerous, life-threatening situations as a pilot, but it was an accident on a training base that would cost him his life. “In April of 1943 Keith was posted to East Sale, Victoria, 13 Squadron, Operational Training Unit, as an instructor for Beaufort bomber pilots,” Michael said. “The Commanding Officer described the accident, saying that the plane was making a single engine landing with a pupil at the controls. “The plane overshot the landing and was proceeding directly for the Duty Pilots Control Tower, where eight men were stationed. 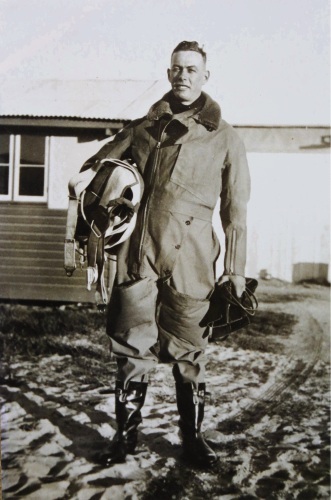 Keith is one of only a small group of Australian pilots to have been awarded the Distinguished Flying Cross. Michael said he was only five years old when his father passed away and because of that, Anzac Day would always hold a special place in his heart as a commemoration to honour his legacy. The Australian War Memorial will hold a last post ceremony in Canberra for Frank Keith Morcombe on 25 January, 2019.